Because printing of all presentations was simply not feasible, the organizers and individual session chairs selected the papers we have reproduced here as among the best offered at the meeting. In addition, they represent the range of topics and themes presented. Among the important outcomes of the Congress was the generation of a Declaration recognizing the shared interest in the distinctive elements of the Asian experience of industrialization and a shared dedication to a cooperative effort to support preservation and interpretation of that heritage. The details of the Taipei Declaration and cooperative plans are offered herein. 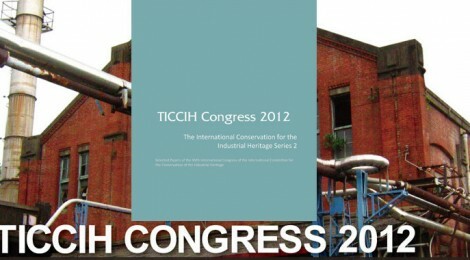 TICCIH Congress 2012 in Taiwan, starting from November 4th through 11th, 2012, was the first TICCIH Congress held in Asia since 1978. There were more than two hundred delegates from twenty-six countries, an extremely high standard of papers and discussions, and the arrangements of the exhibition, workshops and tours were handled impeccably with enormous support from various governmental officials, organizations and enthusiastic staff. The Congress committee is very much grateful to the supporters and participants who contributed and facilitated such excellent outcomes. This Selected Papers are screened by the editor committee from 96 presented papers during the congress and are compiled in very limited time. Thus, the editor committee would like to apologize if there are any oversights or mistakes. 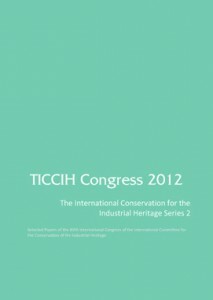 The fact that this Congress ended with the establishment of an Asia Industrial Heritage Network for TICCIH and the publications of Taipei Declaration and Selected Papers justified all the hard work and efforts which were put in by numerous individuals and organizations. It is a milestone for TICCIH’s influence in Asia. We hope our efforts can lead a step forward to the development of conservation for industrial heritage in Asia as well as the international world. We also hope to see you again soon for the Asia Industrial Heritage Network in the near future. The TICCIH Congress 2012 was held from the fourth day to ninth day of November in the Taipei City of Taiwan, the capital city of Taiwan. This congress includes three days’ conference, and the latter was composed of keynote lectures, theses presentation, posters presentation, forum, and workshops. In the conference, we have received around 140 abstracts from difference countries all over the world, and after deeply discussions by the members of academic committee, we decided to accept eighty-three papers for oral presentation and twenty-eight papers as poster presentation. All oral presentation papers were divided into four subjects, as follows: (a) Theory and Methodology, (b) Planning and Design, (c) Interpretation and Application, and (d) Social and Economic Impacts. From the fact that scholars of twenty and more countries try to contribute their knowledge to this conference, this implies that the industrial heritage have gradually paid attention by the world societies. Secondly, the topic of papers including history and theory, territorial conservations planning, and the study of a certain object etc. are various, this shows that the interesting of industrial heritage from intellectuals are thorough. Finally, from the fact that the majority of papers own comprehensive discourse framework, sufficient row materials, reasonable methodology, and well format, all these indicate that the papers of this conference own high quality. As the chairperson of academic committee of this conference, I am very impressive on the variety, rigor, and abundance of papers of this conference. Also, I believe that all the discussions of this conference will benefit to the international industrial heritage conservation in the future time.